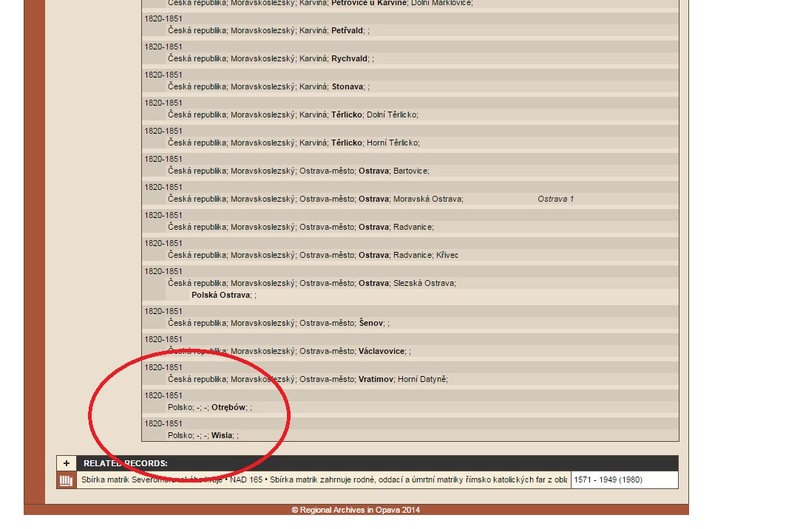 Today I found some Polish birth records in the Ostrava Land Archives online! Basically, this book includes birth records for a lot of teeny tiny towns, including two that are in present day Poland. It looks like these are Silesian villages. Clearly, the borders were very different back then. and Vratimov, which is the village I am researching in this particular parish record book. This is extremely encouraging to me. About 50 years of parish records are missing for the village of Vratimov, which is my ancestral hometown. This hints that it *might* be possible to find something useful in some Polish archive. It’s not that much to go off of, but hey, I’d be so excited to find anything at this point.